Early this morning, my eldest son called me at work. He told me he was at the university health clinic with severe eye pain. I was close to panic and all I could ever think of is, "Oh please God, please don't let it be glaucoma." Since I could not get off work right there and then, I asked my son to call me when the doctors were done with their tests. Two hours passed when I got to talk to him again. "Mama," he said, "Its not glaucoma. The doctor said I have Dry Eye Syndrome." I gave a sigh of relief that it was not the worse case scenario that kept me on the edge of my seat. "The doctor said I may just be dehydrated, so she prescribed oral rehydration salts and told me to increase my liquid intake. I also have to get some eyedrops that I should use every 4 hours for two weeks," he added. I tried to remember unusual symptoms that I may have overlooked. One week ago, my son complained of his eyes being extra-sensitive to bright light. He had to cover his eyes with a pillow before he even attempted to open them after waking up. I never thought it meant anything serious. Then he told me he had stringy mucus in his eyes. Again, I thought it could be nothing serious, and that he probably spent the day in an area where the pollution was bad. What is Dry Eye Syndrome? And so I did my research. I read up on all online material I could get my hands on. I have to find out if there would be any other underlying cause for this Dry Eye Syndrome. So here I am, blogging about this disease that is affecting my college boy. Dry Eye Syndrome may be caused by a variety of factors, and was discussed thoroughly in The Mayo Clinic website. I read about the symptoms that my son had - eye pain, stringy mucus, and sensitivity to light. The Mayo Clinic website provided easy to understand explanation of the symptoms, causes and treatment modalities. 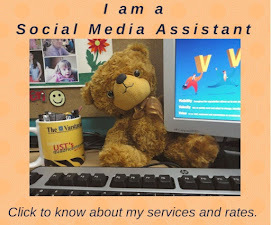 I am sharing with you very helpful information that I got from their website. Blurred vision, often worsening at the end of the day or after focusing for a prolonged period. Decreased tear production (when you are unable to produce enough tears) are common in people over 50; postmenopausal women; may be associated with some medical conditions such as diabetes (this disease runs in our family), rheumatoid arthritis, lupus, scleroderma, Sjogren's syndrome, thyroid disorders (this disease runs in our family too) and Vitamin A deficiency. Decreased tear production may also be caused by laser eye surgery and tear gland damage. The Mayo Clinic website discusses about treating the underlying cause of Dry Eyes Syndrome. You may check it out for more in depth information. 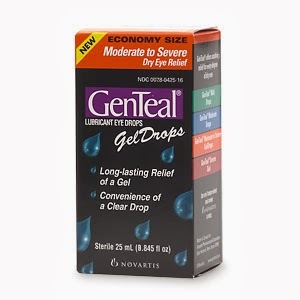 My son was prescribed eye drops (GenTeal), 1-2 drops every 4 hours for two weeks. I have to make him learn to use a warm washcloth over his eyes and massage the corner of his eyes where the oil (Meibomian) glands are. I will make him take a Vitamin A supplement regularly and encourage him to keep himself hydrated. Most importantly, I will be more vigilant in taking note of other symptoms that may point to either diabetes or thyroid disease which both run in the family. My family's health is one of my top priorities. It is always a good thing to address the illness at an early stage than to put off the symptoms and regret it later on. I hope I was able to give you some useful information today. Credits and thanks to Mayo Clinic. It is like the normal things which we ignore all the time...Now i will keep a look on to mine's.. I'm happy that my son's emergency medical condition made me aware of such things and that it made you and my readers to be more vigilant in keeping track of the symptoms. Thanks for your article...it gives me some understanding about taking care of our eyes. I have the opposite. My eyes are watery all the time and it's getting very inconvenient. People think I'm crying. I think I have to get my eyes checked. It's good to know this dry eyes causes and symptoms. It'll give us an idea on what's causing them. I have dry eyes due to allergies. It's very annoying at times. i am glad that your son's eyes were diagnosed in the soonest time, my eyes are watery, itchy ears with runny and sneezy nose when my allergic rhinitis attacks. Great information to know! I didn't realize there was so many causes for it (and scary I have a lot of them!) I'm goign to talk about this with my Dr at my next visiting! This is great to know. My grandmother actually had this and had to use eye drops daily - for years. I have never heard of dry eye syndrome before. I thought it was just something you get every now and then. Thank you for this information it really helps to be informed in case I or someone else I know goes through something like this. This is the first I've heard of dry eye syndrome. I often have dry eyes due to allergies. It's definitely an annoyance. Good information, but what hits me even more is that the parenting and worrying is never done. My son is about to graduate from high school and leave home and I can see the worries are only beginning, not ending. So happy to hear your son is OK! That must have been scary ... but at least dry eye syndrome looks very treatable! This is the first I've heard of dry eye syndrome. Good to know it's easily treatable. I get dry eyes when I wear lenses.. it doesn't suit me .. when ever I wear lenses I put tear drops every hour.. I'm glad your son is ok. But that condition must be at most annoying. The closest I felt some kind of dryness in my eyes was when I used to wear disposable contact lenses. That was many years ago. Hope the drops works perfectly and taking Vitamin A regularly should help him. Thank you for this great post, my mother in law is 91 and she suffers from this condition. I only drink water and have never ever had any healthy problems in year; other drinks such as soda and that don't hydrate you at all in fact they only make you more thirsty. Drinking water can help with so many problems, but I don't see why lots of peopel rely on other types of liquids. our eyesight is very important, it would help us sees things easier and do things simpler...glad that things are okay now. Great information! Something very important to keep in mind. Our eyes are so essential to us. hubby also has dry eyes Ai, but his was brought about by the lasik he underwent several years ago, but it is very manageable just using prescribed eye drops, but he has to use glasses whenever he is outdoors whether there is sun or not because of the wind that could complicate the dry eyes. It was dang scary! All I thought was glaucoma and immediate surgery or else, irreversible blindness would set it. I am still going to be checking for other symptoms now and then. My genealogy has markers for Diabetes and Thyroid disease. My sister has hypothyroidism and was diagnosed with stage 1 glaucoma. Wow, I had no idea that there was something such as dry eyes syndrome. I actually have a few of the symptoms listed so I'm considering getting my eyes checked. Thanks for posting this information! Thanks God it's not something very serious. I hope that he get over with the EDS soon. I was really relieved. I'm still waiting for my son to come home, he's attending an athletic meet and it will be over in the late afternoon. I guess he's okay if he can go back to his usual activities. Thank you for the info. I'm glad your son is OK.
My girls have very dry, scratchy eyes. I had no idea about this. I guess now is the time to take and have my own checked and do something about mine. I will really appreciate the writer's selection for choosing this great article.Here is deep description about the article's title.